The American Metalcraft WB9 Hammered Stainless Steel Champagne Service Bucket gives you another way to dine in style! This gorgeous champagne service bucket is made from hammered stainless steel for an eye-catching display, and its 5-quart size is also perfect for holding one bottle of champagne with plenty of room for ice. 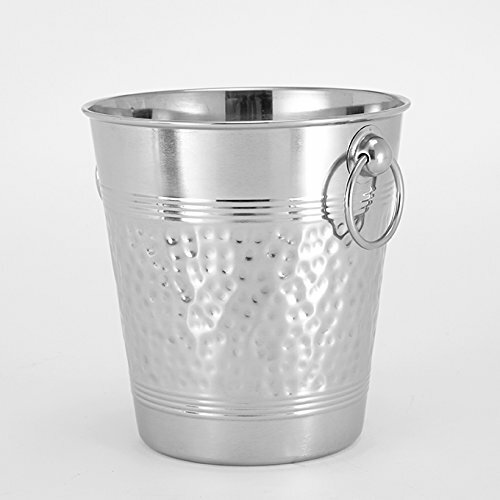 A must-have for any fine dining experience, this champagne bucket is perfect for use in homes or restaurants alike. And even better, pair it with an American Metalcraft stand for easier access and an even lovelier display! With 70 years of service, American Metalcraft is a leader in the foodservice industry for trend-focused and unique products.